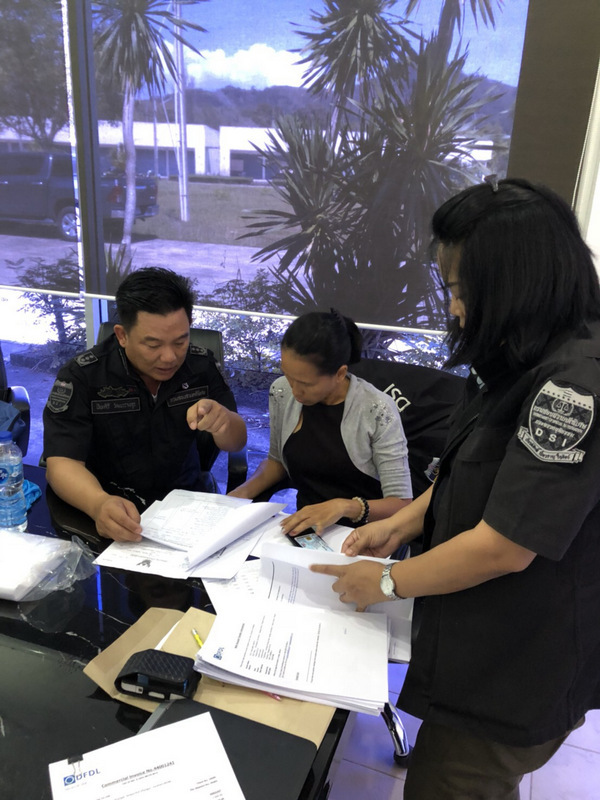 PHUKET: Officers from the Department of Special Investigation (DSI) and Thailand’s Board of Investment (BoI) raided a legal consultancy in Phuket on Wednesday (Aug 15) on suspicion of using nominee shareholders and breach of the Foreign Business Act by transacting land transfers. The company’s websites notes it has offices in Cambodia, Laos, Vietnam, Bangladesh and Cambodia. However, the Thailand operations, notably the company’s office in Phuket and on Koh Samui, are under investigation for illegal use of nominee shareholders and hence for illegally engaging in the sale and transfer of land to the tune of B2 billion in the past year alone. 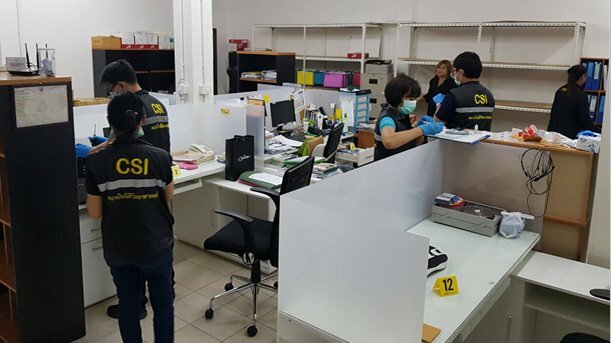 Acting under orders by DSI Director-General Pol Col Paisit Wongmuang and Deputy Director-General Pol Maj Suriya Singhakamol and armed with court-issued search warrants, the joint taskforce, which included investigative staff from the Central Institute of Forensic Science Thailand in Bangkok, carried out four co-ordinated raids. The raid on the Cherng Talay office in Soi Bangtao 1 was led by Piyasirivat Wattanavrangkul, a specialist in investigating fraudulent loans. The office was believed to operate by using Thai employees and foreign shareholders, and to have false documents to cover up the true investor details on the premises. 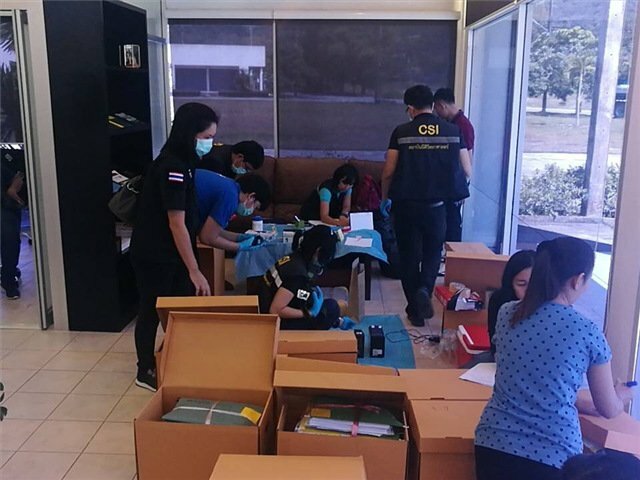 The second raid, led by Special Case Special Investigator Worapot Kamiam, targetted the premises at 123/9 Moo 5, Cherng Talay, which was the accounting office for foreign clients, said the DSI in its report. 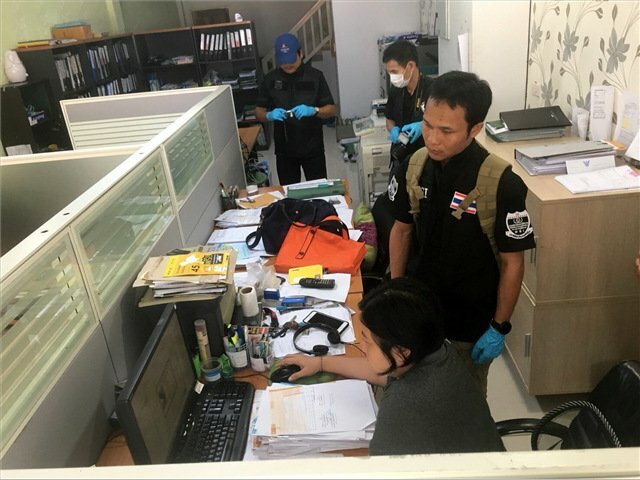 The third raid, led by Special Case Special Investigator Jakrapob Khaosak, targetted the office at 17/10 Moo 1, Thawat Phakdee, in Bophut, Koh Samui, which was also believed to operate by using Thai employees and foreign shareholders, and to have false documents to cover up the true investor details on the premises. 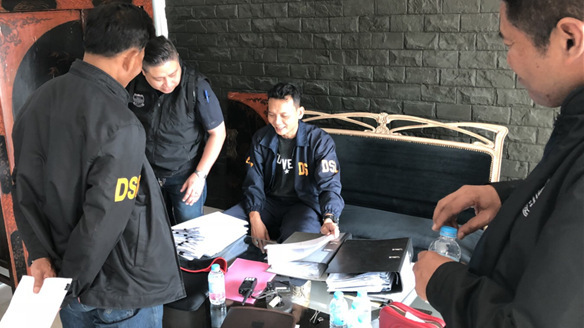 The fourth raid, led by Deputy Head of Security Division Taweevat Surasith, targetted the company’s head office on the3rd Floor of the Rattanakan Building on Sathorn Rd in Bangkok. 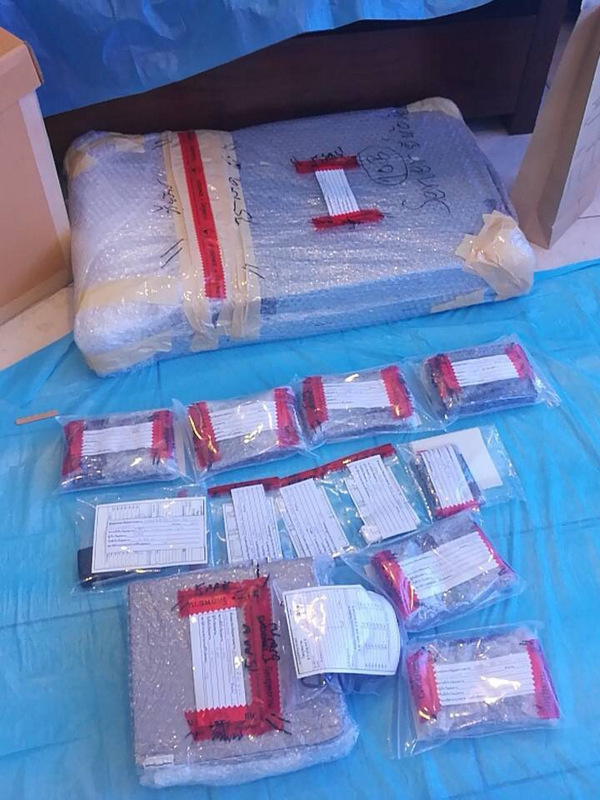 Documents, computers and electronic data storage devices were seized as evidence in the raids. A preliminary review of the information seized provided evidence that foreigners had engaged in the trading of more than 80 plots of land in the area, including villas and detached houses. The company engaged in land transactions involving foreigners in Surat Thani, Phang Nga, Phuket and Krabi that totalled more than B2bn per year, the DSI noted. 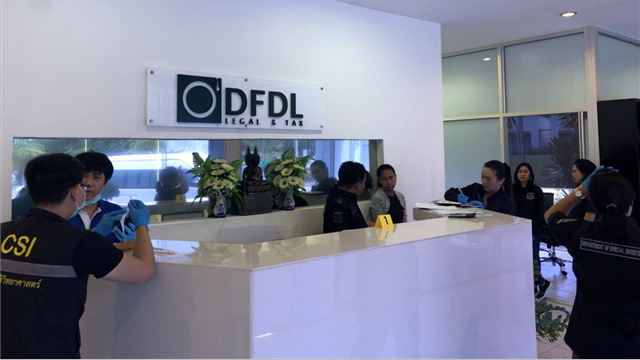 The firm is under investigation for allegedly having Thai representatives invest money in one company then transferring the funds to other companies in order to carry out the sale of land and other forms of real estate. The DSI noted that under the Foreign Business Act BE 2542 (1999) it is illegal for foreigners to trade land. If you ever need some remote  editing done...I know just the person. btw I loathe the 3 stage captcha check  which is done often   even after initial approval. Btw - Our good old friends the gang of 4 apologists are very quiet lately, could it be they are simply overwhelmed with so many truthful comments??? Ahh but you can play with the law as the law plays with you, who in their right mind follows Thai laws when Thai's don't and there is so much room to move, they can't have their cake and eat it too! Must be the only lawyers in Thailand who don't pay tea money. Providing hapless Thai nominees is done in every real estate and lawyers office in Thailand. It is a joke to investigate only to one. Raid the government's land registration office - at least the names of all the foreigners owning land/businesses and the equally culpable nominees will all be in one place. So, what now about the Phuket Provincial Land Office, it suppose to investigate/screen all such matters before the issue of documents with a government  approval stamp. Yes? It is all a 'smooth working together'. Government institutions are there to block such happenings. If they don't, in many cases in Thailand in different fields, than you keep going with this mess. I can well believe thousands of foreigners own land and property by this method because authorities have looked the other way for decades. Guess it's time for a reel in, how  many fish are about to fry? Who knows- that's the risk of investing in Thailand. Caveat Emptor  Ps 4th paragraph needs NES editing, badly.